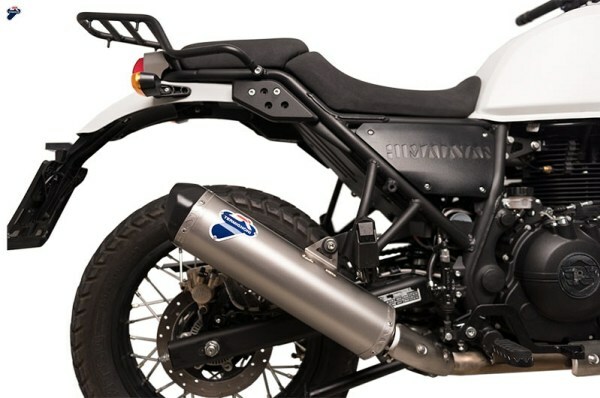 The Italian exhaust specialist, Termignoni has now introduced a slip-on racing exhaust systems dedicated to the Royal Enfield Himalayan 2018. 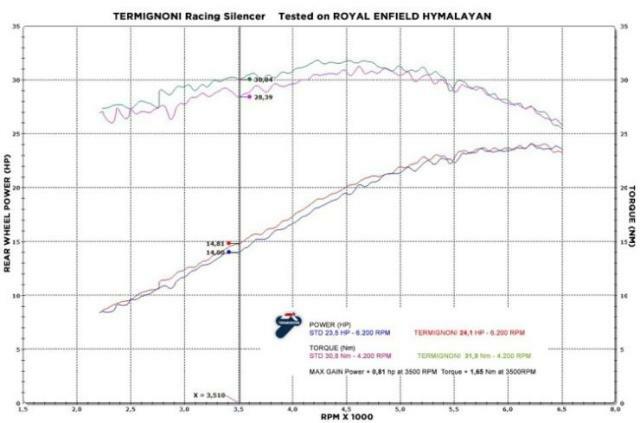 The Royal Enfield Himalayan is the only product from the iconic motorcycle manufacturer to get Termignoni after market exhaust . Metal clamp along with the required screws and washers. This high-performance exhaust systems is made of stainless steel and has an upswept design and is lighter than the stock end-can by 2 kgs. 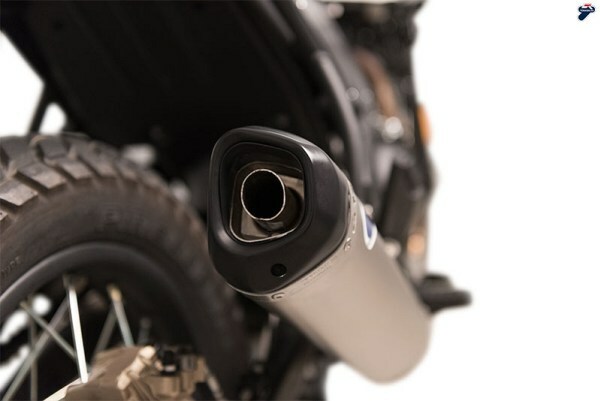 In Europe, the price for this Termignoni exhaust system is 370 Euros , when converted to India currency would cost around Rs. 30,000. For this premium you get better exhaust not and performance boost in terms of performance it offers an increase of power ( + 0,8 Hp at 3.500 rpm) and torque (+ 1,65 Nm at 3.500 rpm). These figures have been measured at the wheel and the bike’s resultant power and torque output is 24.1 HP and 31.9 Nm respectively . 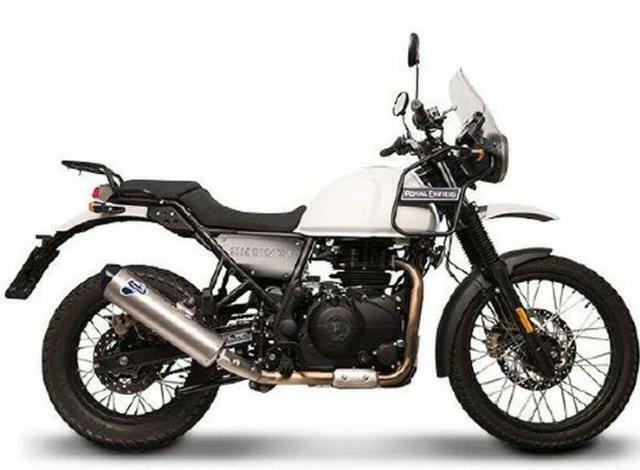 The Himalayan is available in two variants – Standard and Sleet. which is priced at Rs. 1.68 lakhs (ex-showroom) for the standard and the sleet will cost roughly Rs. 3700 more . The Himalayan is powered by a 4-stroke, single-cylinder, fuel injected LS410 engine that is mated to a 5-speed gearbox. Please note that after market exhausts are meant only for off-road use and are illegal when used on public roads.